I’ve loved cookbooks for as long as I can remember, but it wasn’t until I was first married that I really started reading them. I received Cookwise by Shirley O. Corriher as a wedding gift and although I probably tried a recipe or two from the book, what I really enjoyed was sitting down and actually reading through it and learning about how recipes work and why recipes work. After that book, I started to really enjoy reading recipes. Not just the head notes and stories that accompanied them, but the actual recipes. I love reading through ingredient lists and instructions, imagining the process and seeing the food come together in my mind. I learn from recipes, even if I don’t always follow them. I pick up new shortcuts, flavor combinations, and techniques. I learn that there can be more than one “right way” to do something. I learn that it’s okay to experiment because almost every single recipe published is simply a variation of an older recipe. And that’s okay. That’s what cooking is. One of my favorite things to do is grab a stack of cookbooks off my shelf and curl up on the couch with a cup of coffee. Some of you will think this is weird and I suppose it is kind of weird, but for me, reading about cooking can be almost as fun as actually being in the kitchen. And there’s a bonus – no dishes! So I thought I’d tell you which books are in the stack on my couch at the moment. Some of my cookbooks have been sent to me as review copies or gifts and many I purchase myself, because I have a bit of a shopping problem when it comes to cookbooks. Just an FYI, the links to the cookbooks below are to Amazon and I am an Amazon affiliate. That means if you happen to click one of the links and then purchase something on that trip to Amazon, I will make a small percentage for referring you (but you’ll still pay the same price). 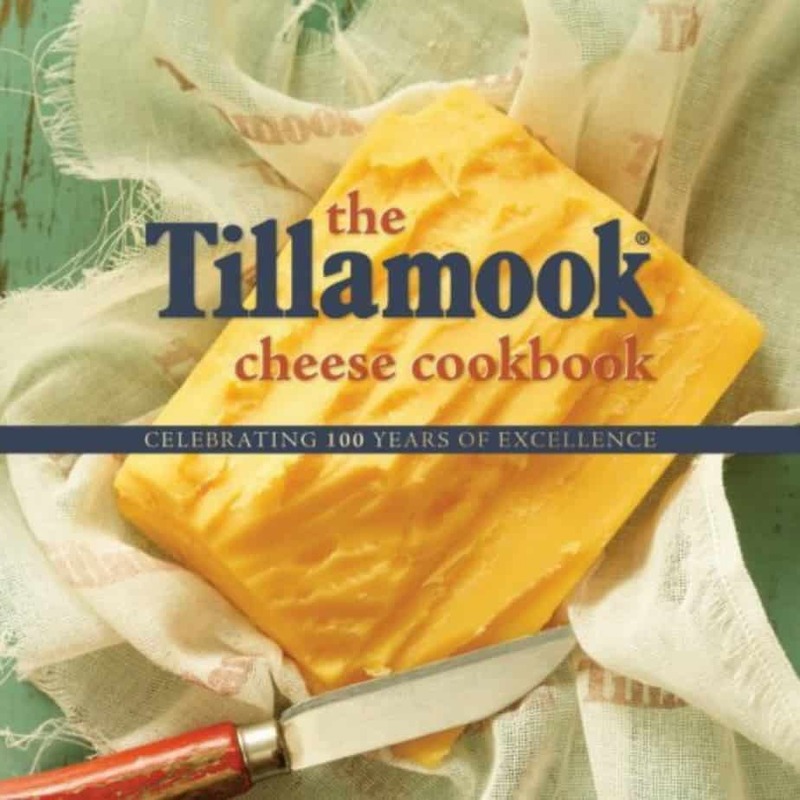 The Tillamook Cheese Cookbook – This book was sent to me by the lovely people of Tillamook along with some other fun things. I had been invited on a trip to tour the factory and was planning a fun Oregon trip around the Tillamook tour. Unfortunately I decided I needed to cancel as I was recovering from the last miscarriage. They generously sent me a package filled with goodies from Oregon, including this book, since I couldn’t be there in person. It was a lovely gesture and I’m currently reading through these cheesy and delicious-sounding recipes as well as learning about the history of the company. 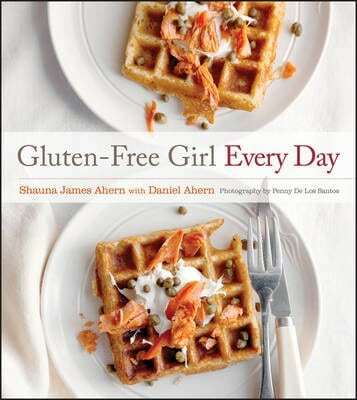 Gluten-Free Girl Every Day – I bought this for myself at our local Barnes & Noble and it’s a beautiful book. I just love Shauna Ahern. We’ve only spent time together once and I haven’t even met her husband Danny or daughter Lucy in person yet, but I would be totally comfortable hanging out in their kitchen and sharing a meal with them. In fact I often threaten to drive up to the Northwest to do just that (and might sound a little bit like a stalker, too). Even though Shauna needs to eat gluten-free and I do not, we’re very much on the same wavelength when it comes to food. This is not a “gluten-free” cookbook (well, of course it is). This is a cookbook for people who love to play with ingredients and cook and eat good food. 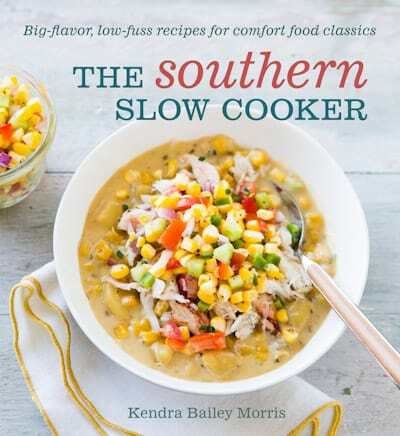 The Southern Slow Cooker – I have never owned a book dedicated to slow-cooker recipes before, but I couldn’t resist this one. I love southern cooking and something told me that this book would be filled with great recipes and I even pre-ordered it from Amazon. My gut feeling was right – this is a great book. Until we moved into this house I hadn’t owned a slow-cooker for years. A Crock-Pot sort of fell into my hands recently and I’m trying to decide whether or not I’ll actually use the thing. (If you follow me on Facebook, you might have heard about some of my recent experiments.) Since I work from home, it’s easy enough for me to stew or braise things on the stove or in the oven and I usually get better results that way, but I’m determined to at least try to get some use from this appliance that’s taking up valuable cookbook space on my shelf. I’m just now digging into this book, but I can already tell that by the end of it I’ll have some great new uses for my Crock-Pot. What cookbooks are you currently reading? My stack is very high at the moment, but I, too, am a cookbook fiend. Right now I'm making my way through Bouchon Bakery and Gordon Ramsey Makes it Easy. I, too, am crazy about cookbooks. My current pile includes: The Art of Simple Food II by Alice Waters (fabulous); Giada's latest - Feel Good Food; Pioneer Woman's Holiday Cookbook (much of my Thanksgiving feast will come from that); Heart of the Plate by Mollie Katzen ( love her! ); and a new bread book by Lionel Vatinet, from the SF Baking Institute called A Passion for Bread. And that's just the short list! I'm reading Family Table: Favorite Staff Meals by Michael Romano and also dabbling in some gluten-free baking and reading Sweet Cravings by Kyra Bussanich and Naturally Sweet by Ricki Heller. I got them all from our library since there is no more room on my bookshelf!